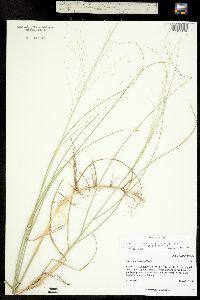 Habitat: Growing on sand dunes in sandsage prairie; in loose sand with Andropogon hallii and Nuttallia nuda. Notes: Redfieldia flexuosa (Thurb.) Vasey. Specimen with only one floret per spikelet., det. D. Clark, 12 March 1999. 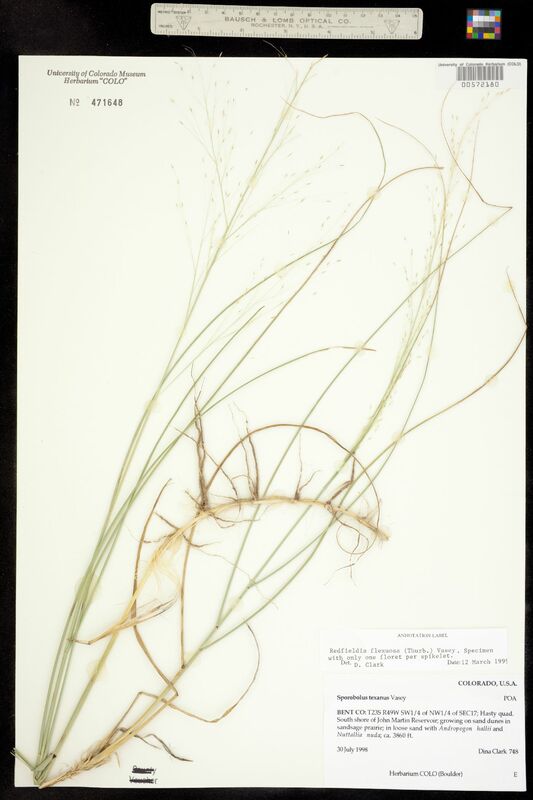 Original ID: Sporobolus texanus Vasey. Hasty quad.